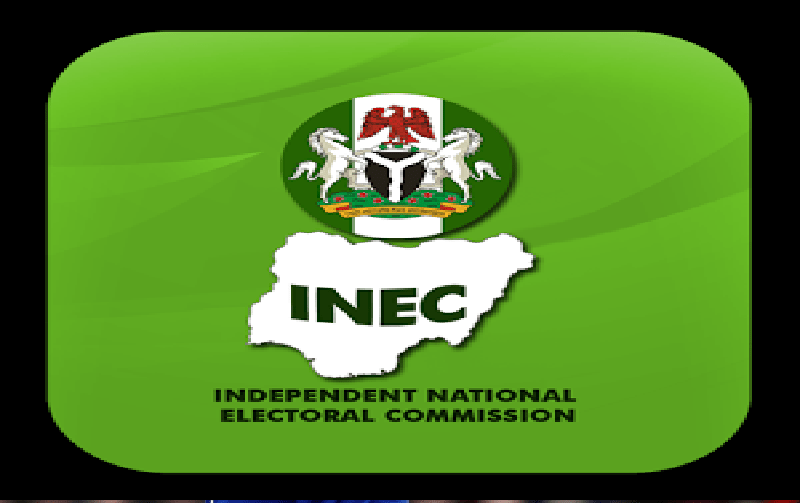 The Independent National Electoral Commission (INEC) on Thursday, 11th October, in a statement says all 89 Political Parties are yet to submit their Candidates List. The INEC said none of the 89 parties that notified the commission of their intention to conduct primaries has submitted the list of its sponsored candidates. 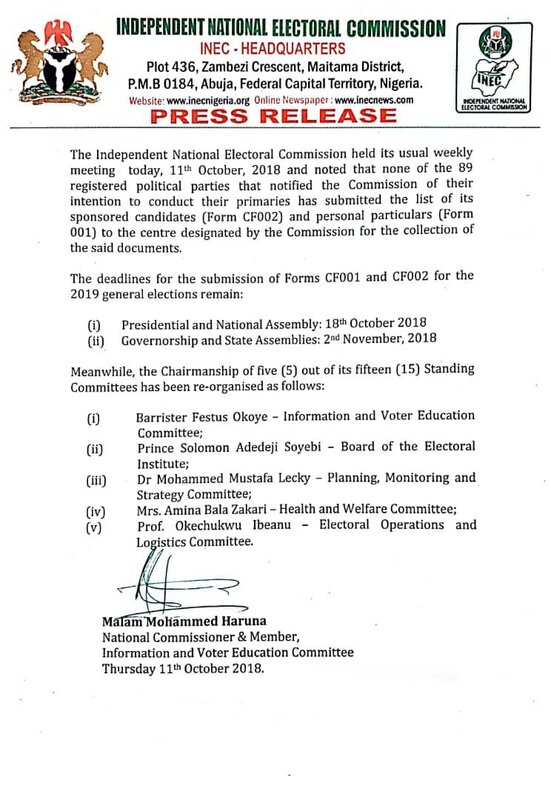 "...none of the 89 registered political parties that notified the Commission of their intention to conduct their primaries has submitted the list of its sponsored candidates (Form CFOO2) and personal particulars (Form CF001) to the centre designated by the Commission for the collection of the said documents." 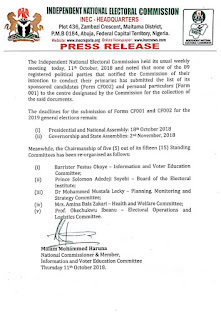 The commission therefore maintain Thursday, 18th October and Friday, 2nd November, 2018, as deadline for submission of Form CF001 and CF002. ii. Governorship and State Assembly - 2nd November, 2018."